The Texas-based modern-day honky tonker Jack Ingram first carved out a niche for himself in the bars and roadhouses between Dallas and Houston. By the mid-’90s after extensive giving concerts with his Beat Up Ford Band, he had issued two well-received independent albums and had opened for performers like Merle Haggard and Mark Chesnutt. The end of 1996 brought about a deal with Warner, which reissued his first two indie albums, and in 1997 issued his major-label debut, Livin’ or Dyin’. Moving to Sony’s Lucky Dog label in 1999, Ingram gave us his fifth beginnings rock album, Hey You. Three years later, he hooked up with Lee Ann Womack’s producer, Frank Liddell, for Electric. Young Man, a compilation of recordings of many of his earliest songs, and Live at Gruene Hall: Happy Happy both arrived in 2004. Live Wherever You Are, a live recording featuring two studio singles, was released in 2006 and was his first for Big Machine Records, a label operated by record executive Scott Borchetta and fellow country crooner Toby Keith. A second release from Big Machine, called This Is It, followed in 2007. Big Dreams & High Hopes appeared in 2009. Get to Know Jack Ingram a Little Better with These 10 Random Questions! From the lonestar state of Texas, Jack Ingram puts a unique twist on the country music sound. In 2005 his single “Wherever You Are” was in the top 40 on the U.S Country Chart. A few other hits you may remember, “Lips Of An Angel” a brilliant Hinder remake and “Barefoot & Crazy.” In 2008 Jack won the Academy Of Country Music Award for top new male artist. What has Jack been up to lately? Well we decided to check in with him for our 10 random questions and find out. 1. How would you describe your music career using only three words? Good, getting better. 2. What is your favorite song that you’ve written? It’s a 3 way tie: the next song, the last song and whichever one is your favorite. 3. What is your favorite album of all time? Of mine?! If I could have all things come together the way they did for “ELECTRIC” every time- I wouldn’t never b**ch about any of my albums. 4. What artists do you currently listen to? I love John Fullbright. Always listen to my favorite singer/songwriters. 5. Do you have any bad habits? I drive way too fast! 6. Beer, Whiskey or Wine? Beer, whiskey and wine…but mostly Bud Light! 7. Where is your favorite vacation place? Anywhere my wife & kids wanna go! My job is pretty d**n good so I don’t sit around dreaming about an escape route! 8. Describe yourself in three words? Inside my head. 9. What are your future plans? Any new music coming our way? I WILL RELEASE NEW MUSIC IN 2013. THAT IS A PROMISE. From that point forward I plan on releasing more and more music consistently. I am also working on a movie project that could be a ton of fun and include a bunch of my musician friends! 10. Is there anything you would like the Jack Ingram fans to know? If you love everything I do- you’re right! If you hate everything I do- you are as well! If you never really think of me at all- I wish you would! If you are looking forward to hearing Jack’s new music for 2013 be sure to follow him on Twitter @JackIngram for all the latest information! Head back to 2009 and enjoy Jack Ingram’s “Barefoot and Crazy”! Brittany is a guest contributor! You can find more from her via Twitter. Jack Ingram Adds To The List Of Participants Playing In The 4th Annual Celebrity Softball Jam! 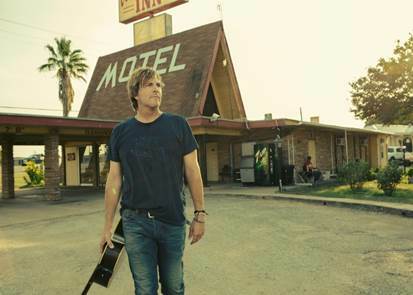 Texas based singer/songwriter Jack Ingram joins a long list of musicians, athletes and celebrities who have signed on to play ball in Reckless Kelly’s 4th Annual Celebrity Softball Jam. The game will be held in Dell Diamond in Round Rock, Texas on April 22. Joining Ingram at CSJ this year will be fellow musicians Kevin Fowler, Los Lonely Boys, Hayes Carll, Wade Bowen, Micky & The Motorcars, Charlie Robison, Bruce Robison, Kelly Willis, Cody Canada & The Departed, Bo Bice and many more! A number of former professional baseball and basketball players will also be involved including Kevin Millar, Brett Boone, Richie Sexon and former San Antonio Spur Bruce Bowen! Proceeds from the event will benefit Little League Baseball in the Austin area, as well as The Miracle League. Everyone is encouraged to go out and enjoy what is to be the best CSJ yet!